- 4 x 4ml/ 0.13fl.oz. AERIN Beauty's 'Premiere Discovery Set' is ideal for those who are still searching for - or don't feel like committing to - a signature scent. Housed in dainty glass bottles that are sized for traveling or keeping in your purse, each one is composed of rare ingredients from around the world. 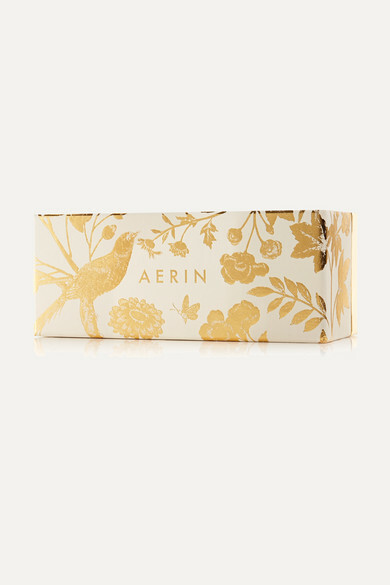 The gold floral-print presentation box is perfect for gifting, but it will also look so beautiful on your own vanity.